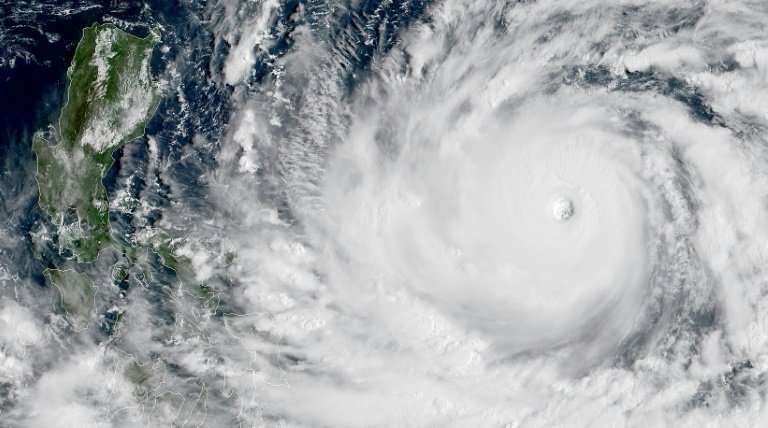 Preparations were in high gear in the Philippines on Friday with Super Typhoon Mangkhut set to make a direct hit in less than 24 hours, packing winds up to 255 kilometres per hour and drenching rains. Thousands fled their homes on the Philippines' northern coastal tip ahead of the early Saturday landfall of what is expected to be the disaster-prone nation's fiercest storm yet this year. 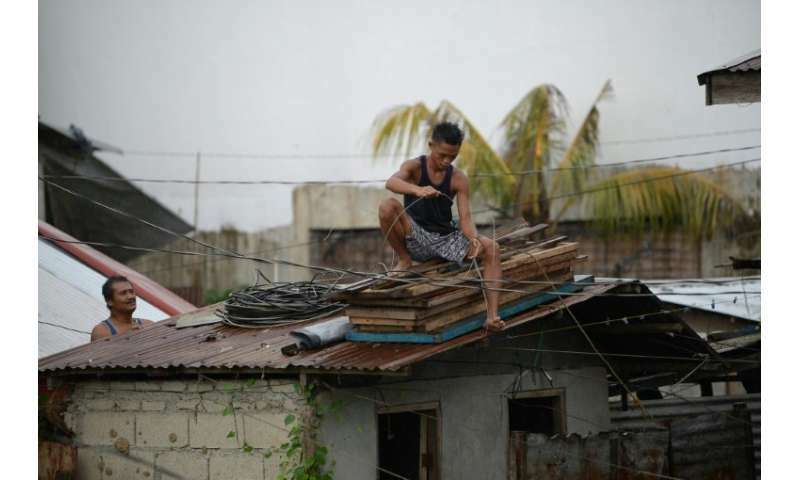 Businesses and residents on Luzon island, which is home to millions, were boarding up windows and tying down roofs that could be sheared off by winds forecast to gust as high as 255 kilometres (160 miles) per hour. "The rains will be strong and the winds are no joke... We may have a storm surge that could reach four storeys high," Michael Conag, a spokesman for local civil defence authorities told AFP. "This could destroy houses, especially the makeshift houses. Those are the ones most common in coastal areas." Heavy rains and high winds were just starting to pound the far northeastern tip of Luzon on Friday, but there have been no reports of major damage or flooding. 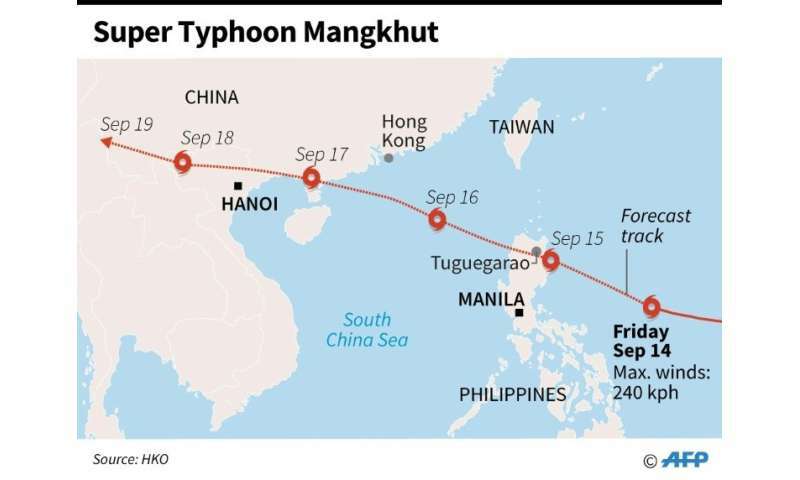 Forecast path of Super Typhoon Mangkhut as it approaches the Philippines. At least four million people are directly in Mangkhut's path, which is predicted to move on to China's heavily populated southern coast—including Hong Kong—this weekend. "We are really frightened. 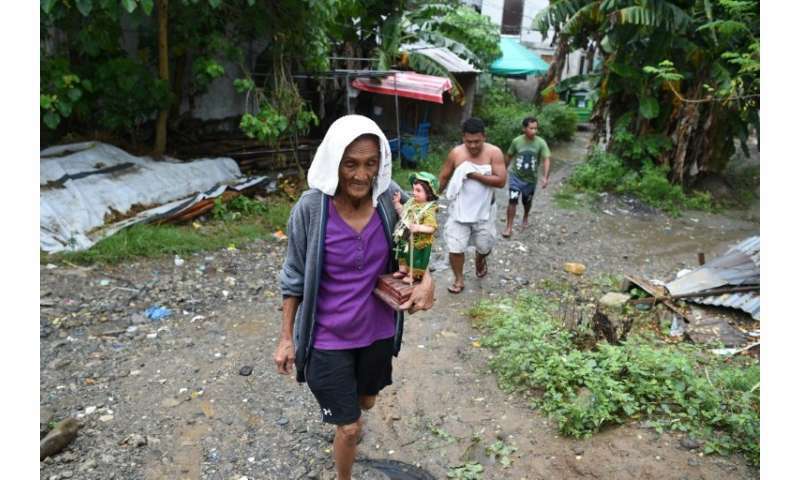 They say it (typhoon) is so strong," said Delaila Pasion, who had fled her home in the northern Philippines. "We were too scared to remain." "During the previous monsoon rains, half of our house was destroyed so I wanted to take my grandchildren to safety," she told journalists on Thursday. Flooding and landslides in the hilly region were top concerns as authorities prepared equipment for rescue and relief operations. 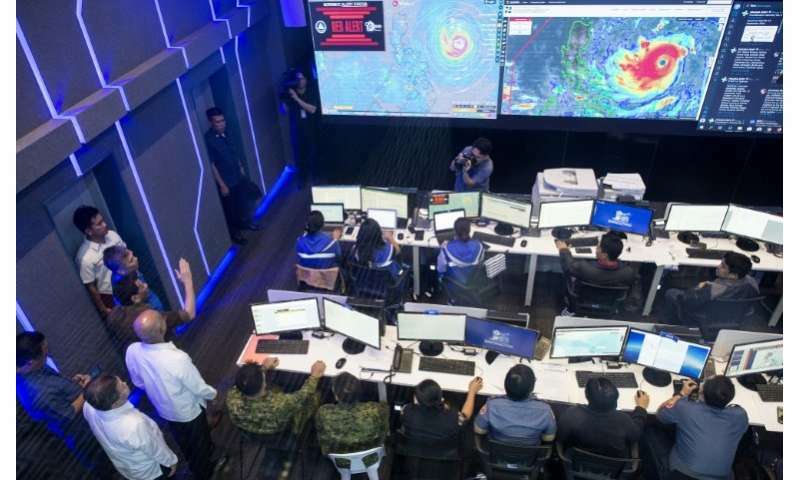 The state weather service said Mangkhut will be the strongest typhoon so far this year, with sustained winds of 205 kilometres per hour. "It will bring destruction. They are the ones greatly affected. Even moderate winds can topple their houses," regional civil defence official Dante Balao told AFP on Thursday.